Cost versus quality. Humans versus automation. Hardware versus software. Is the vehicle manufacturing industry fueled by tension? Here, Emma Cygan, design and development engineer at steering system manufacturer Pailton Engineering, explains how vehicle manufacturers must balance the procurement of hardware and software for new vehicle concepts. 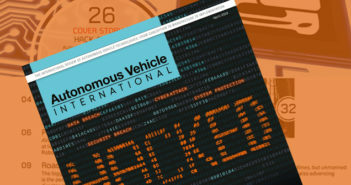 As the industry veers toward autonomous vehicles, more resources are being allocated to software development – from sophisticated telematics to complex collision avoidance systems, software is affecting the complete spectrum of vehicle product and use. Software is important to the future of vehicle design, and its unchartered territory demands huge levels of research and development. While software is incredibly important for these new vehicle concepts, it must not overshadow the necessary investments in vehicle hardware. We’ve got news for you — traditional as it may be, hardware is also advancing technologically and investment in this area is just as significant. We’re seeing remarkable improvements in the physical and environmental properties of vehicle hardware. Vehicle parts can now handle heavier loads over longer time periods, due to expert engineering and extensive materials testing. Alongside this, modern vehicle parts are now designed to withstand the temperature variance, road debris and high levels of moisture faced by vehicles in daily service, enabling the ultimate in environmental robustness. Steering system parts are a great example of this. In the past year, next generation parts have been brought to market on the back of intense development and testing. The third-generation bevel box from Pailton Engineering, with bold claims of ingress protection backed by IP66 and IP67 ratings, made headlines for enduring a 56-week long intensive salt spray test. However, improved environmental capabilities aren’t the only advancement in hardware. New chassis frame technology from Gordon Murray has been designed to significantly cut the weight of commercial vehicles. Using aluminum thin-wall tubing and honeycomb recycled carbon-composite panels, the weight of the frame is halved. The technology is capable of cutting vehicle weights in half and could be used in every vehicle segment, from automotive to heavy goods vehicles (HGVs). There are no comparing investments in hardware and software. Both are equally important for the development of new vehicle concepts. For vehicle manufacturers, it is important to choose suppliers of both hardware and software carefully, putting equal value on both investments and looking for key trust markers from suppliers. That said, the requirements are slightly different for software and hardware. For software, good patch management is non-negotiable. Vehicle manufacturers need to know that upgrades for software applications will be ongoing, and that maintenance can be handled efficiently. Take collision avoidance systems, for instance, which rely on camera and radar precision to detect collisions before they occur. Without regular upgrades and calibration, the software may not perform accurately and could fail to detect an imminent crash. Hardware, on the other hand, does not have the luxury of ongoing updates and amendments over its use. Unless the part manufacturers provide ongoing maintenance, such as relubrication, during the product’s lifespan. Generally speaking, hardware needs to be right first time, most often for a vehicle’s entire lifetime. To make this happen, manufacturers should choose suppliers that can provide informed data on the lifespan of their products. For example, when using real-life vehicle data to design, manufacture and test steering systems, suppliers can accurately predict the parts performance against the specified load and frequency data of the real-life application. Using this insight, the customer can rest assured the part will perform as required. This is where data-driven design and testing comes into play in the manufacture of hardware. Using software analysis with strain gauging, materials stress from compression and stretching can be determined and assessed against the end application. While hardware vehicle parts cannot be provided with remote updates like their software counterparts, using software for testing processes will ensure the part will endure an entire lifespan on the road. Procurement into hardware and software in vehicle manufacturing should form equal priorities. Ultimately, high-quality software must be built into vehicles that are made to last, thanks to high-quality hardware.